The caliphate will reside in America soon, if the leftists get their way. As you know, Europe has hundreds of “no go” zones. These are places where indigenous citizens dare not go. And in fact, neither can the police. These places are run by radical Muslims, who practice their laws without regard for existing law. Because in Islam, there is no other law but Islam. So watch as a Muslim mob chases a police car out of one such “no go” zone. UPDATE: Twitter banned the account of the person who showed this video of Muslims chasing police. For the bonehead leftist women who marched against Trump, you should be marching against Islam. Women in France are. In this video, you can hear the disbelief of the reporter, as she is told that she is no longer in France, but Saudi Arabia. The MUST WATCH video is here. We removed it due to autostart. In The Local, an attack on police was reported in a “no go” zone. After a violent petrol bomb attack on four officers near Paris, France’s prime minister insisted there were no no-go zones in the country, but police unions themselves told The Local the reality is very different. Valls was paying a visit to the suburb of Paris where four police officers were injured on Saturday after coming under fire from a hail of Molotov cocktails. 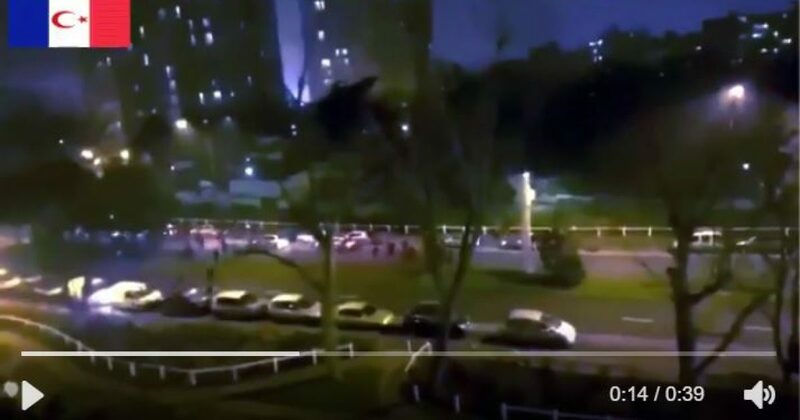 The incident, which left one officer in a critical condition, occurred near the notorious housing estate of La Grande Borne in Viry-Châtillon, to the south of Paris. The attack on the officers, who were protecting a CCTV camera installed in an area where there had been a spate of robberies on motorists, was used as ammunition by opposition politicians who claimed the government had allowed lawless areas to develop. But PM Valls, who was joined by interior minister Bernard Cazeneuve said: “The authority of the state will be guaranteed. There are no no-go zones” before acknowledging that there are “particularly difficult areas”. I refer you to the earlier video, if you believe there are no “no go” zones in Paris. So when leftists discuss “moderate Muslims” and multiculturalism, send them a link to this article.